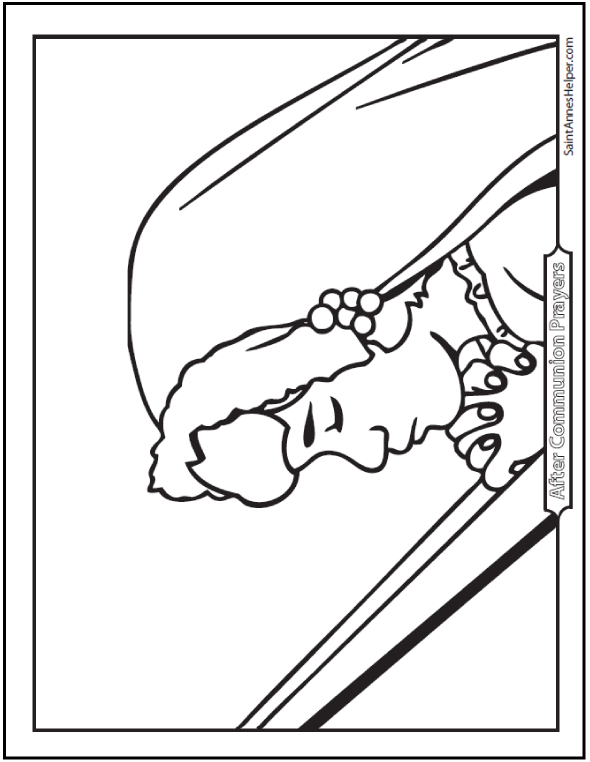 This is a sweet Communion prayers coloring page to print. It shows a girl reverently praying to Jesus after her First Communion. It is a good example of how we should pray before and after Communion. This PDF prints 8.5x11" single sided. We should all bow our heads and close our eyes when we pray to Jesus before and after Communion. First Communion is a great time to learn.